An artist from Israel is the winner of the fourth Artes Mundi 4 prize, one of the UK's biggest arts prizes, whose shortlist included a Bulgarian contester as well. Yael Bartana was recognized for her work which the judges said had consistently stimulated thinking about the human condition and added to our understanding of humanity. The judges praised the "incredibly high standard" of all their work. Artes Mundi, set up in 2003, aims to give a platform to contemporary artists who are established in their own countries but who have previously received little critical recognition in the UK. Artists from Albania, Bulgaria, Kyrgyzstan, Peru, Russia and Taiwan were also shortlisted for the GBP 40,000 prize at National Museum Cardiff. 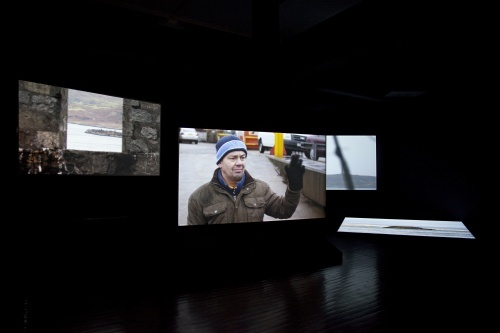 Bulgaria's Ergin Çavusoglu vied in the contest with film and video installations inspired by a shifting, global society. "The incredibly high standard of work by the eight shortlisted artists - across painting, photography, film, video, sound, installation and drawing - made the jury's decision a difficult one,” Professor Sarat Maharaj, who chaired the judging panel, said, as cited by BBC. "All deserve recognition and praise for work that explores issues of national identity, globalization, consumerism, propaganda and migration,” Prof Maharaj added. The award is funded by both public and private organizations, including the Welsh Assembly Government, the Arts Council of Wales and Cardiff Council. Examples of the artists' work will remain on show at National Museum Cardiff until 6 June 2010. The exhibition has already attracted 25,000 visitors.